Partly cloudy. High 76F. Winds SSW at 5 to 10 mph.. Striking teachers and other supporters lined portions of Sunset Boulevard in Echo Park and Silver Lake today on the fourth day of the teachers’ union strike against the L.A. school district. 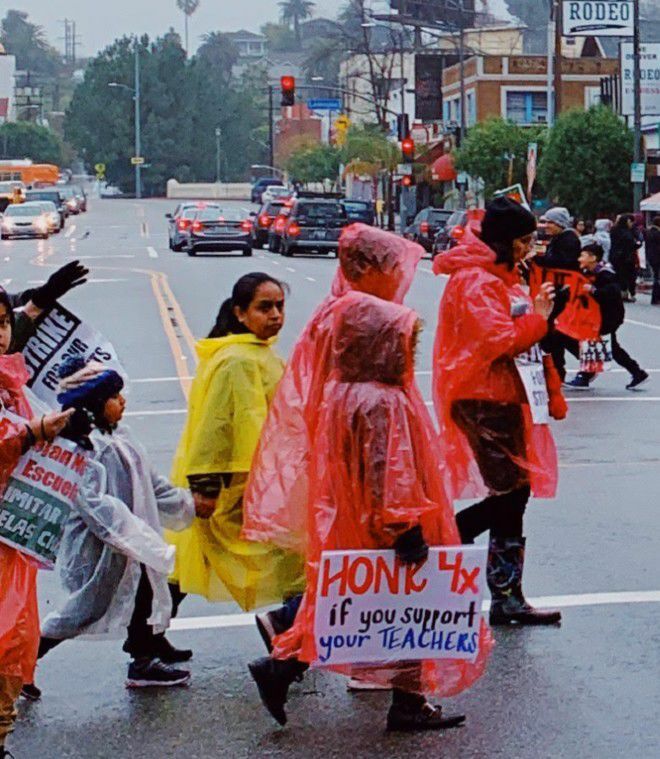 Steady rain and showers meant that teachers had to balance umbrellas and picket signs as they sought to attract attention and support. 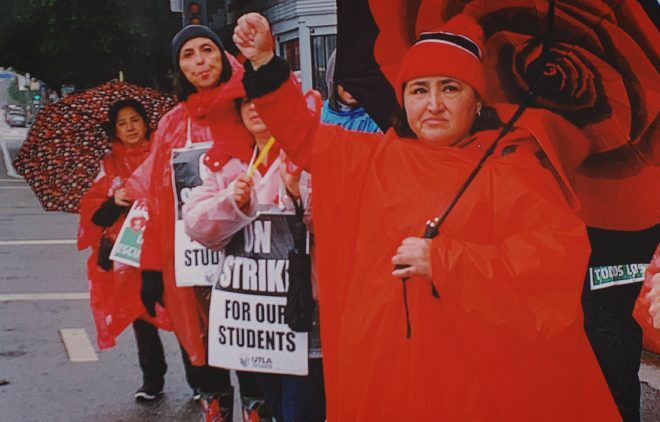 While teachers remained on the picket lines, negotiators from the United Teachers Los Angeles and the L.A. Unified School District met today at City Hall, reports the L.A. Times. It’s not clear, however, if the resumption of talks proved fruitful and whether there are any signs that an agreement is any closer. Thanks to Jesse Alvarez for sharing his photos.